Come See Me at ASHA 16! I have an insanely busy few weeks...hope to see some of you at ASHA 16 in Philly! Another “sequel” to this presentation with installments at ASHA 2012-2015 brings all-new pairings of picture books and inexpensive, easy-to use apps with suggestions for interventions. 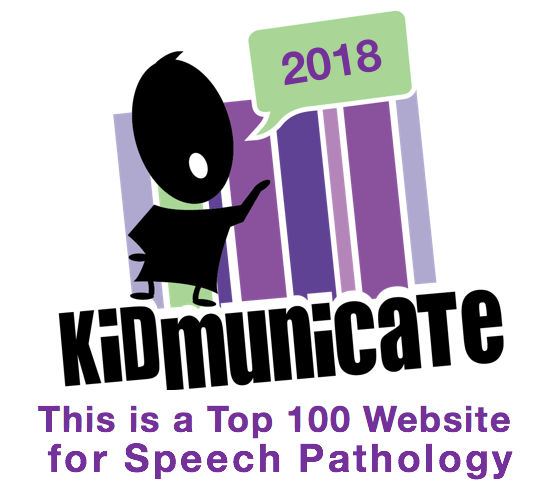 The presentation provides research-supported strategies for contextual language therapy, blending picture books with apps for visual, interactive, and curriculum-related post-reading activities targeting specific objectives. To be honest, doing a tech presentation as a poster is not ideal, but I did my best to translate this topic into a visual format. Come check it out and I will also be providing a link to the previous 4 years of book and app pairings...a trove of ideas! Utilizing technology to co-create contextual materials within telepractice or in-person therapies facilitates engagement and additional opportunities to practice targeted language and literacy skills. This presentation demonstrates examples of integrating routines with authentic materials for preschool to secondary students to maximize outcomes. Participants will leave with resources and ideas for implementation. Have a great trip...also see my column for the ASHA Leader on making the most of the Convention. In the past several posts I have been discussing resources for visually mapping expository (and by extension, narrative) topics. In the last post I outlined the use of Kidspiration's Super Grouper feature for sorting ideas into categories--it can also be used for sequencing. Kidspiration and its older brother Inspiration (again free to try, $9.99 for full app, also available for Mac or PC and even on the web) are better known for their mind-mapping or diagramming features. Like Popplet (described in this post), these apps can be used to create graphic organizers showing the connection between different ideas. Unlike Popplet, however, the text within the idea bubbles can be exported to other apps so students can see planning activities as being helpful toward actually getting their writing done. In Kidspiration, create diagram activities by selecting Diagram from the home screen. It's fairly self explanatory to map connections between pictures and symbols using this feature. The diagram can be used to create a discussion web as displayed below. Discussion webs in language intervention are discussed in Hoggan & Strong's excellent article The Magic of Once Upon a Time: Narrative Teaching Strategies (and also this "how to"), which has served as an inspiration for my "Pairing Picture Books with Apps" presentations. A number of other narrative teaching visuals demonstrated in the article can also be created with Kidspiration and Inspiration. Inspiration in all its versions is particularly appropriate for upper elementary through adult learners, and is often recommended as an Assistive Technology (AT) tool. Inspiration shares many of the features of Kidspiration including the picture library, ability to add photos, and helpful templates; Inspiration does not have the Super Grouper feature described in the last post. Both Kidspiration and Inspiration allow you to create a graphic organizer with students and export the contents in outline form to a word processor, thus bringing the initial planning work to a place that it can be continued (e.g. a word processor such as Pages, Word, or Google Docs). The blank-slate nature of these apps as well as the availability of connecting bubbles and arrows make it ideal for instruction in the methodology of using expository text structures to plan writing and show the flow of ideas in a topic--making these both comprehension and expression tools. See Teresa Ukrainetz' Strategic Intervention for Expository Texts: Teaching Text Preview and Lookback (another good reason to have an ASHA SIG membership so you can access Perspectives journals) for another helpful discussion of expository text structure and other strategies. Be sure when using Inspiration and Kidspiration to avoid creating webs unless your topic is a descriptive one. Create an organized structure by adding new detail bubbles to your topic heading shape (see above with List, tapping on the arrow button will create new connected bubbles you can drag into position). Naturally, you will want your detail bubbles to contain content related to the topic as opposed to just key words for organization. As below, switching to Outline view will then make your work result in a useful outline rather than too much hierarchy. See below, tapping the Share button will allow you to export.